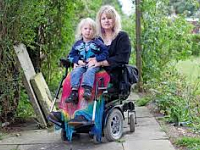 Are you a disabled woman and a single parent? If so the Money Matters project would love to hear from you. They want to interview as many disabled women as possible, in confidence, about what it’s like to be a single parent with a disability and highlight possible solutions and coping mechanisms which might assist other women.